Across the Star Wars™ galaxy, countless individuals live outside the bounds of the Galactic Empire’s laws. Whether they break the rules out of personal morals, an accustomed lifestyle, or just to make some extra credits, these men and women are ready to fight to maintain their freedom. Now, you can bring two lawless individuals into your games of Imperial Assault. 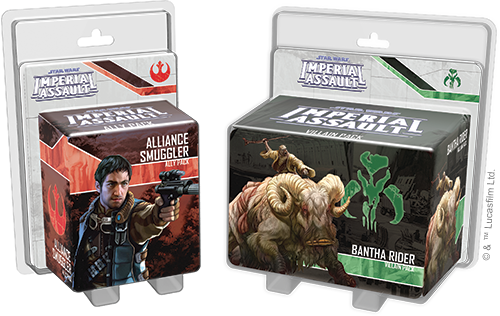 The Alliance Smuggler Ally Pack and the Bantha Rider Villain Pack are now available at your local United States retailer! 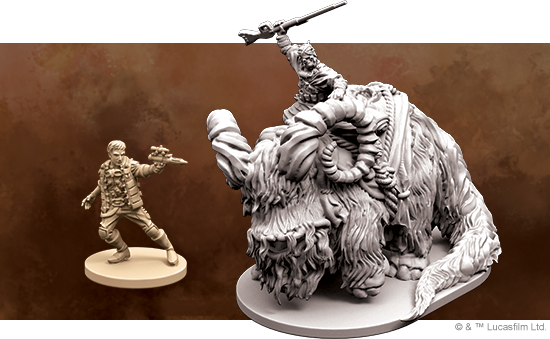 Like prior Ally Packs and Villain Packs for Imperial Assault, both of these expansions prominently feature an expertly sculpted plastic figure for you to use in your campaigns and skirmishes. 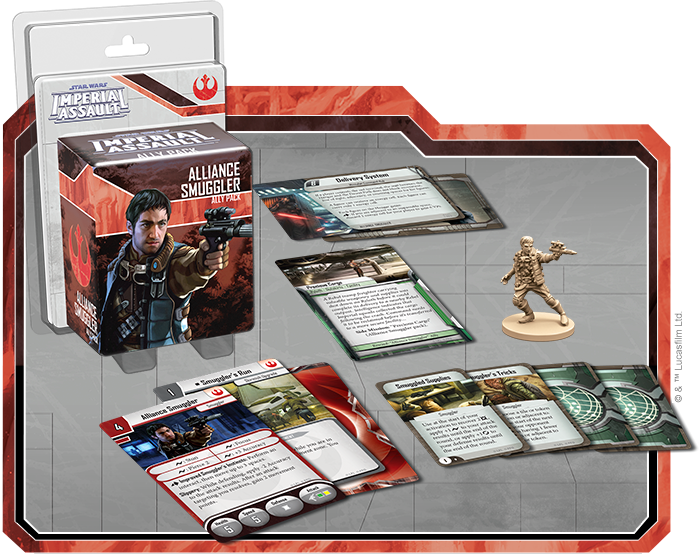 In addition to that figure, each expansion includes a new campaign side mission, two new skirmish missions that share the same map, and an assortment of new Deployment cards, Agenda cards, Command cards, and Mission cards that can vastly change your games of Imperial Assault. 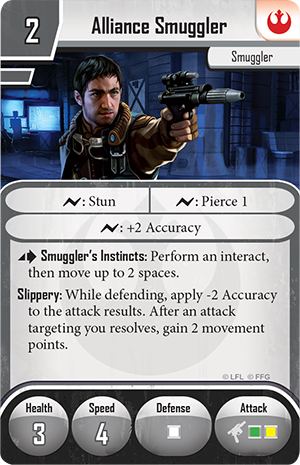 Our first preview of these figure packs focused on the sly cunning and quick shooting of the Alliance Smuggler . For whatever reason, this roguish character has chosen to lay aside a life devoted to profit in order to smuggle supplies, medicine, and weapons for the Rebel Alliance. He’s making a real difference in the galaxy now, and the new tactics this figure opens up can make a difference for your campaign and skirmish games as well. The Alliance Smuggler is a natural fit for any campaign as he can be used to save vital actions that the heroes could spend elsewhere. Though the Alliance Smuggler doesn’t have enough health to stand up to extended fire, his unique abilities allow him to move quickly, opening doors and dodging out of the way to give the heroes an opening. One or more Alliance Smugglers can be dangerous in a skirmish game as well, picking away at your opponent’s figure from range. 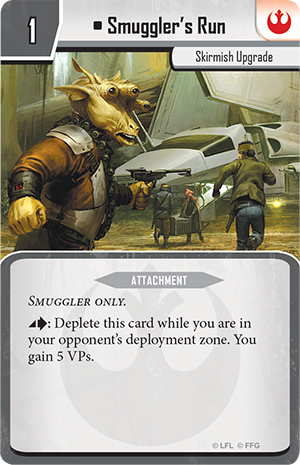 In addition, the new skirmish upgrade— Smuggler's Run —and the new Command cards included here combine to give your Rebels a potent edge in any game! 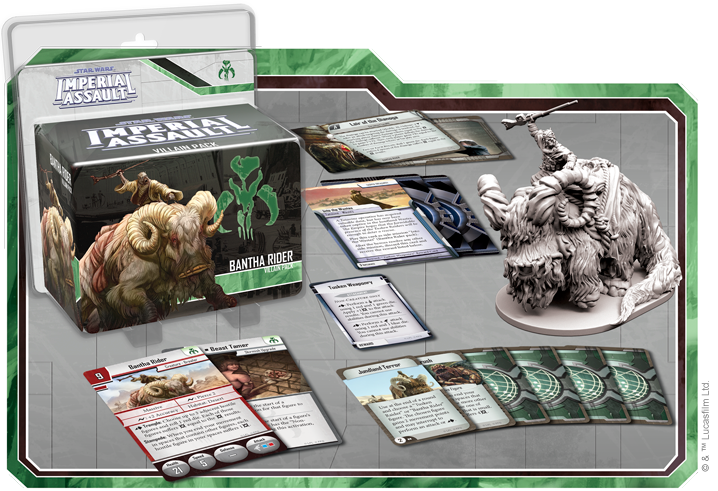 In our second preview, we turned to the brute power and force offered by the Bantha Rider Villain Pack. The Bantha Rider is a new addition for the Mercenaries faction, and whether you command the Tusken Raider rider to fire from long-range or simply send the bantha charging into your opponent’s formation, this figure can wreak havoc wherever it turns. Bantha Riders are naturally terrifying for the heroes to face in a campaign game, both during the new side mission that features the Bantha Rider or during another mission. The Bantha Rider has no defense dice, but it does offer a massive amount of health and dangerous abilities. It’s much easier to disrupt the heroes’ plan when you send a Bantha Rider charging into their midst. The Bantha Rider can also turn the tide of a skirmish game in your favor. 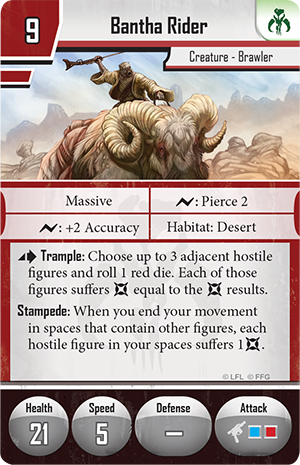 The Bantha Rider can deal a massive amount of damage each turn, spread across multiple figures, which may prove crippling if your opponent’s army depends on a large number of figures. For both campaigns and skirmishes, this dangerous creature can help the Mercenaries shatter their enemies’ strike teams. The Galactic Empire commands unimaginable resources—a military machine fueled by hundreds of worlds. Yet for all the Empire’s power, there are still places where you can live by your own rules, away from Imperial restrictions. Make your own path and pick up your copies of the Alliance Smuggler Ally Pack and the Bantha Rider Villain Pack at your local retailer today!